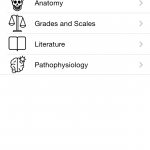 Physio U: NeuroExam app offers a large library of content that focuses on parts of the neurologic exam important to specific clinicians. 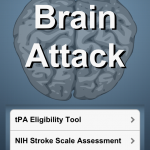 BrainAttack is an iOS app that quickly guides users through inclusion and exclusion criteria of administering tPA to stroke patients. 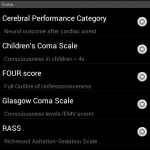 This app is for doctors who need to keep their neurology skills sharp. 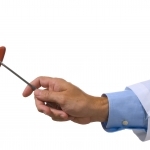 The information is sound and complete and it’s presented in a simple way. 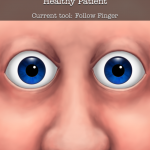 iRis Interactive is a useful app for trainees and students who are looking for an engaging interactive eye simulator to learn the cranial nerves and associated pathologies. 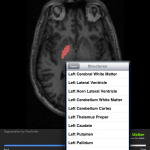 This is the Android app you want to use if you are looking to freshen up your brain anatomy knowledge. 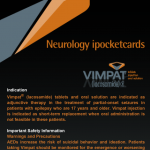 Cranial Nerves ~Pocket Clinical Resource is a worthwhile addition to any residents collection. 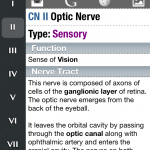 It is a cleverly designed useful aide memoir for the cranial nerves which won’t replace a textbook but will help jog a users memory as and when required. 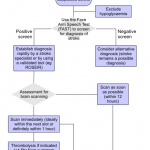 Neuro Localizer is a great app for physicians and trainees to remind themselves of the various nerve pathways and how they cause neurological signs and symptoms. 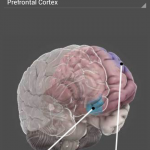 Medical students will also find the combination of simple user interface, clear colourful animations helpful when trying to understand the various types of nerve lesion and the basic principal of localisation. 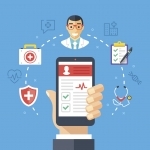 The ipocketcard app series is designed to help medical professionals ditch the pocketbooks and the developers hope to replace it with a quick reference app. 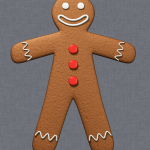 The Neurology ipocketcard app covers subjects including: dermatomes, spinal nerve root innervations (motor and sensory), cranial nerves, and neuroanatomy.